Rindle was designed to be flexible and adapt to each team's workflow, so everyone can work the way they like, inside the same system. Includes checklists, Kanban boards, and more. We also offer flat-fee pricing for unlimited users starting at $99 per mo. Most task & project management tools force you into a workflow that doesnt suit your team or that one department likes, but another department hates. 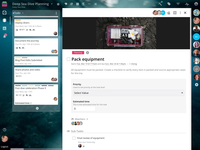 Instead, Rindle adapts to *your* workflows, empowering everyone to work the way they like while keeping all teams on the same page. 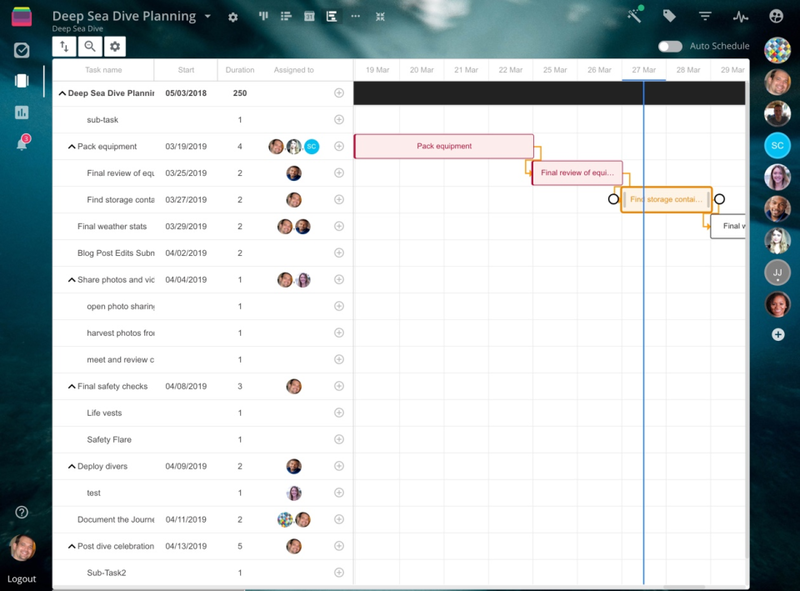 Integrations with the tools you already use (including Zapier, Slack, Google Drive, Dropbox, and more) streamline communication, while workflow automations ensure you work consistently and efficiently. 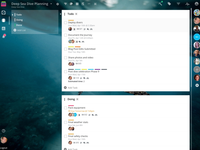 Pros: If you are tired of app hopping from one task management tool to another, then stop and take some time with Rindle. If you are a checklist junkie, then Rindle is worth your investment of time and energy to learn. The integrations with Gmail are slick. The dashboard is one of the most well built out of the gate. The flow of tasking, delegations, tracking your delegations of simple tasks, and the detail you can add quickly all make Rindle stand out among the other tools for tasks. Cons: Like all tools that help with digital maintenance of your life it requires you build a digital habit around its use. However, I believe this is a general "con" of the industry. The team at Rindle has put together documentation and is actively working to help you onboard quick so that you can build a habit around using it easily. Pros: I'm no stranger to PM tools - I've been on the lookout for a balance of simplicity + customization for a long time. 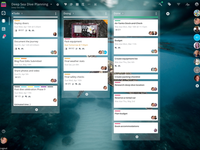 Trello wasn't quite advanced enough for complex projects, and while I love Asana, I've found it very limiting when I'm partway through a project and realize the project would be easier managed with a different layout (Asana doesn't allow users to change a project's structure once it's been set up). 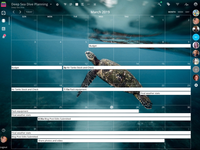 Cons: There are a few more features I'd REALLY appreciate - e.g., a calendar view, to help me better visualize my / my team's workflow in the coming weeks and months. Pros: As a Project Manager, I need to be able to see the tasks and progress across all projects at any given moment. 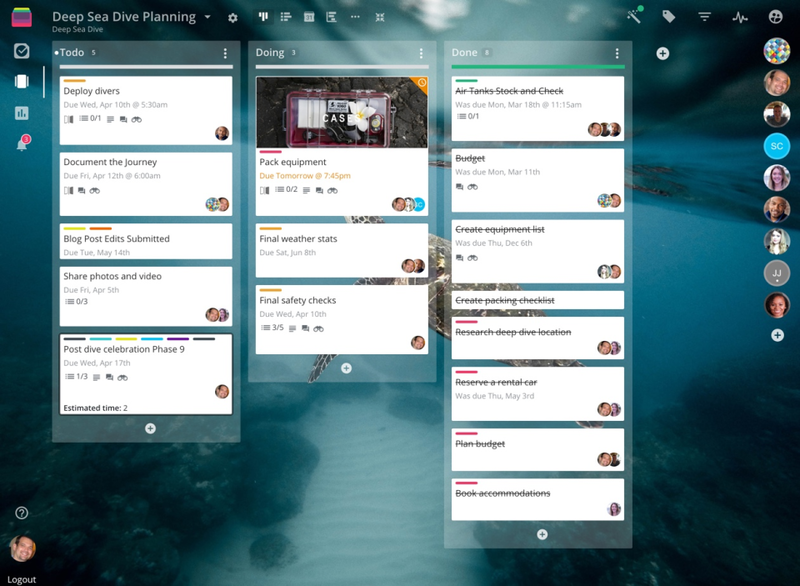 Rindle lets me easily scroll between project boards, and filter based on team, due date, priority level and more. My individual team members can easily click through their tasks, attach notes and files, and move tasks through the workflow. No more emailing back and forth to communicate a job status - anyone can view the progress at any time. The Rindle Team (who we've nicknames "The Rind-dudes) are phenomenal and incredibly responsive. They've offered an unrivaled amount of support and have been very receptive to our feedback and requests. Cons: I honestly can't think of any issues that the Rindle Team has not addressed with us. The free trial helped us to understand their software and be sure it would be a good fit for our business model before we took the plunge. Now that we've been using it for several months, they're still always just a phone call or email away when we have questions. Pros: As a Manager of a new Customer Success Team, Rindle has helped our team get organized, collaborate on team projects and streamline our on-boarding process. As I manager I love being able to see a bird's eye view of what my team is working on and the ability to collaborate on internal projects with shared resources. We have also used Rindle to streamline our on-boarding process and easily share information and next steps with the implementation team. Using Rindle's unique Automation functionality allows us to easily set up rules to automatically move cards through a workflow without having to remember to do it manually. I also love Rindle's clean, easy to use interface. It's an incredibly powerful tool but easy to use. 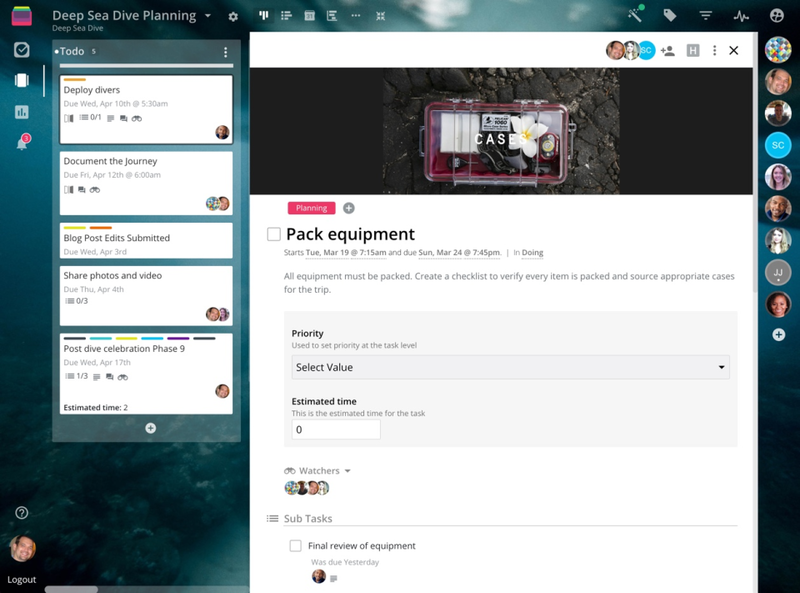 Overall: All of personal tasks and team projects live in one place. It has helped me and my team get organized and provided us with one place to work from and collaborate. And I love that integrates with the tools that my company already uses. Pros: The automation rules alone are insane. You can create rules to automagically move cards, complete them, auto-assign tasks, notify Slack, and so much more. 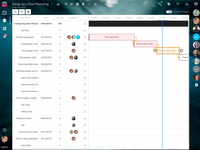 It keeps you from having to manage the project management tool itself (which is brilliant) and from having to do a lot of manual follow-up. I love it! 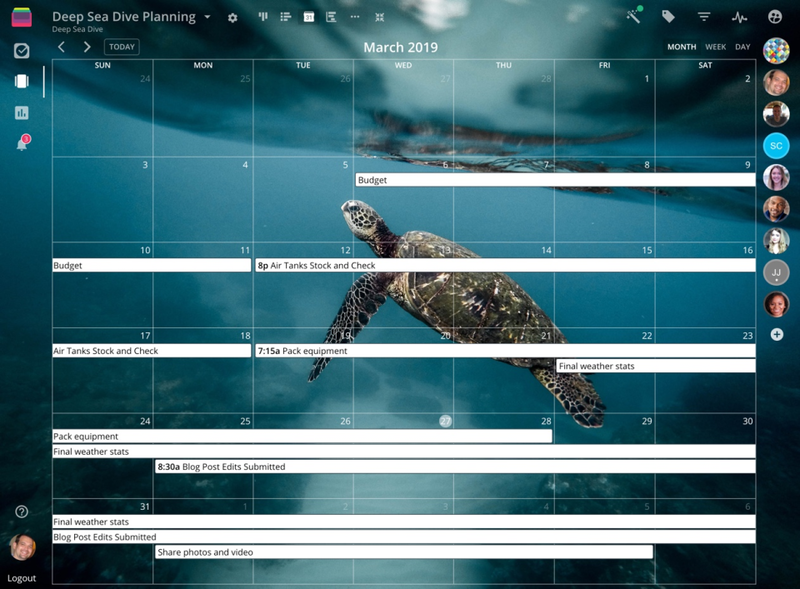 Cons: This might actually exist and I'm just missing it, but I wish there was a way to see a calendar of all of the tasks I have due across all boards. That would be amazing. Pros: Rindle has been great for us as a small company, needing to stay organized across many different areas, but with a small budget. The customer service is fantastic, any time we have questions we get a response almost immediately. Cons: Can be a little buggy, need to refresh often. They're still working on the Dashboard which will be very helpful. I also wish there was a bit more control as an admin to have boards be the same and be able to see everything at a higher level. Overall: Rindle is great- I enjoy using it! 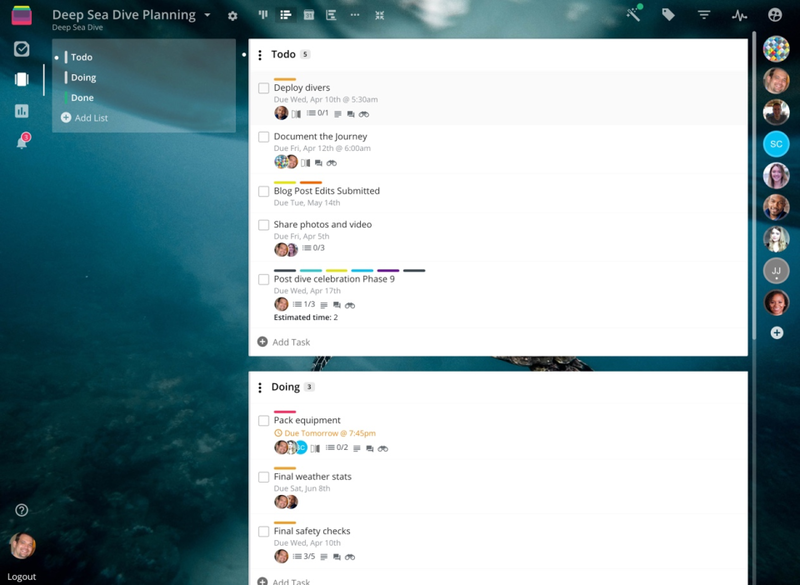 Pros: I'm a longtime Trello user, but found Rindle to be an excellent alternative task management tool. Its customizability, Gmail integration, and automation features are all extremely helpful in streamlining my workflow. Cons: The cost...I do wish they had a free version like Trello does. We're a very small organization trying to minimize costs, so a scaled-back free version might be a nice way for them to build their user base.